Know Washington Class of 1972 graduates that are NOT on this List? Help us Update the 1972 Class List by adding missing names. Time: No-Host Cocktails: 6:00 p.m.
Live Music by "Georgi & The Rough Week", with Classmates Roland Longboya and Mike Tringali. Anyone who would like to "Jam" with the band, please contact Roland at (925) 846-XXXX . Free Cocktail tickets to the first 50 reservations received! We have a fun night planned with a lot of prizes and surprises! Get your reservations and mone in ASAP. SPREAD THE WORK TO CLASSMATES WE MAY NOT HAVE REACHED THAT YOU ARE STILL IN CONTACT WITH. HOPE TO SEE YOU THERE! More 1972 alumni from Washington HS Fremont, CA have posted profiles on Classmates.com®. Click here to register for free at Classmates.com® and view other 1972 alumni. 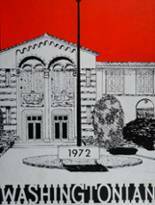 Alumni from the Washington High School class of 1972 that have been added to this alumni directory are shown on this page. All of the people on this page graduated in '72 from Washington . You can register for free to add your name to the WHS alumni directory.